A study by Trivago indicates the beaches, climate and gastronomy are only some of the factors that attract domestic tourists to vacation in Mexico’s Pacific Treasure. 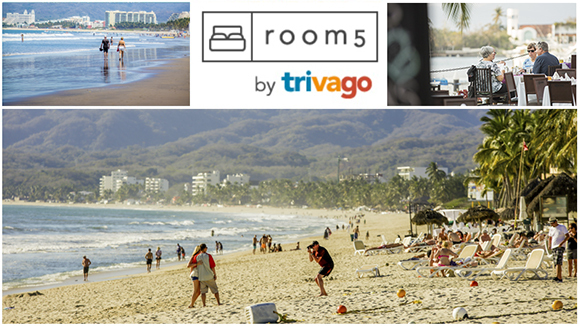 The Riviera Nayarit is among the most sought-after summer destinations, this according to a study commissioned by Trivago that focused on the Mexican traveler’s preferences. The study also indicates Nuevo Vallarta is among the top 10 vacation spots to enjoy between June and August 2017. Nuevo Vallarta’s hotels and resorts are classified as some of the most exclusive and luxurious in beach destinations on an international level. www.trivago.com revealed the most sought-after destinations in its report titled “Traveler Behavior,” as well as the average price point, the accommodations’ budget set by travelers and vacation days spent (a minimum of three nights in a hotel) during the months of June, July and August. Marc Murphy, Managing Director of the Riviera Nayarit CVB, considers the month of June as one of the best months and predicts this summer’s hotel occupancy rate will exceed 90 percent. Travelers visiting the Riviera Nayarit will find it to be Mexico’s youngest destination, which in a mere 10 years has become a favorite of domestic and foreign travelers. Its riches lie in part with its 23 traditional towns, each one with its own identity and charm. Mexico’s Pacific Treasure extends along more than 190 miles along the Pacific Coast, framed by the majestic peaks of the Sierra Madre, golden sand, palm-fringed beaches and luxury resorts. Within its municipalities of Bahía de Banderas, Compostela, San Blas, Santiago and Tecuala it offers visitors signature destinations ideal for enjoying the region and its many attractions, including Nuevo Vallarta, Islas Marietas, La Cruz de Huanacaxtle, Punta de Mita and Sayulita, just to mention a few. Its southernmost border is only 10 minutes north of the Puerto Vallarta International Airport and its northernmost border just 40 minutes from the Tepic International Airport. Its climate is predominantly sub-humid with an average annual temperature of 77˚F. Besides its amazing weather, the traveler can also revel in some truly gorgeous sunsets or enjoy a good book with the sound of the breaking waves in the background. For the more adventurous in spirit, the Riviera Nayarit offers plenty of outdoor activities and room to let loose their adrenaline with activities such as ATV rides, zip lining through the treetops, horseback riding on the beach or the unforgettable experience of liberating tiny turtles on the beach, just to name a few. When hunger strikes, visitors will find a wide variety of quality restaurants offering European and North American menus, as well as, of course, authentic Mexican cuisine. There are also a good number of spas in the destination ready to offer relaxation on tap. We also recommend reserving a round of golf in any of the six golf courses around Nayarit, designed by the likes of Jack Nicklaus, Greg Norman and Robert Von Hagge, among others, or an afternoon of shopping for authentic treasures including Mexican handicrafts and clothing.